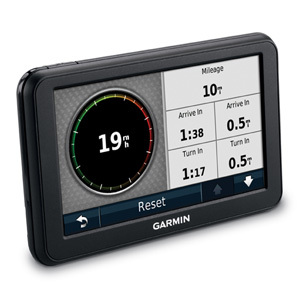 Start out for your destination and leave the navigating to nüvi 40LM. 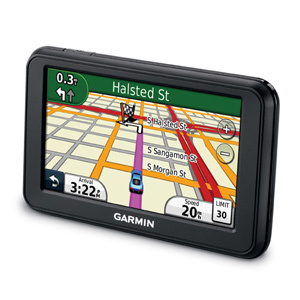 It features a 4.3" (10.92 cm) touchscreen and provides accurate, turn-by-turn directions that speak street names. It also includes FREE lifetime map updates. 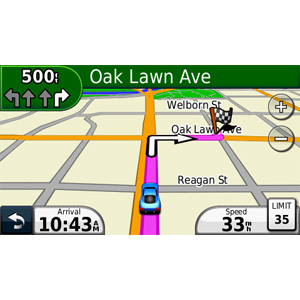 nüvi 40LM’s intuitive interface greets you with 2 simple choices: “Where To?” and “View Map.” Touch the screen to easily look up addresses and services and to be guided to your destination with voice-prompted, turn-by-turn directions that speak street names. 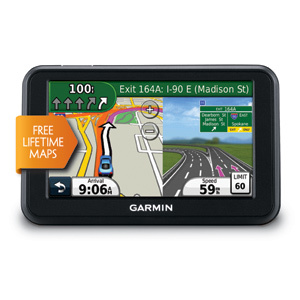 It comes in 2 mapping versions and has preloaded maps for the lower 48 states plus Hawaii and Puerto Rico, or full coverage of the U.S. and Canada. 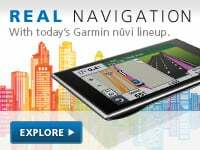 nüvi 40LM’s speed limit indicator shows you how fast you can go on most major roads. 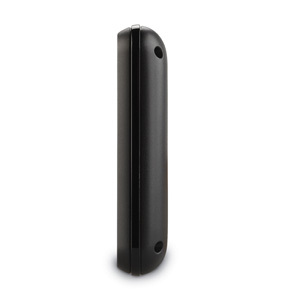 With its “Where Am I?” emergency locator, you always know your location. 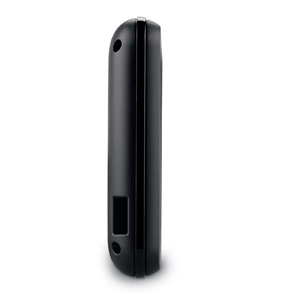 It also comes preloaded with more than 5 million points of interest (POIs) and offers the ability to add your own. 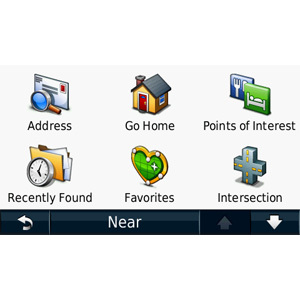 With FREE lifetime map¹ updates, you always have the most up-to-date maps, POIs and navigation information available at your fingertips. 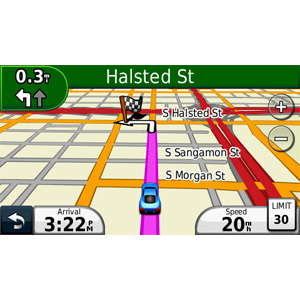 Map updates are available for download with no subscription or update fees and no expiration dates. Now there’s no more guessing which lane you need to be in to make an upcoming turn. Available in select metropolitan areas, lane assist with junction view guides you to the correct lane for an approaching turn or exit, making unfamiliar intersections and exits easy to navigate. It realistically displays road signs and junctions on your route along with arrows that indicate the proper lane for navigation. 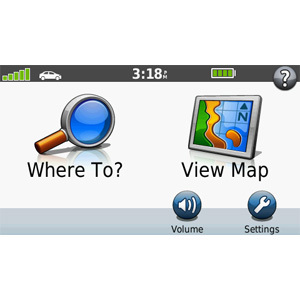 View routes on the 4.3" (10.92 cm) touchscreen. Look up addresses for more than 5 million points of interest. 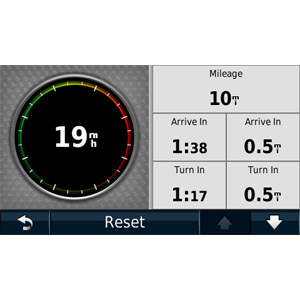 Keep out of trouble with the built-in speed limit indicator.